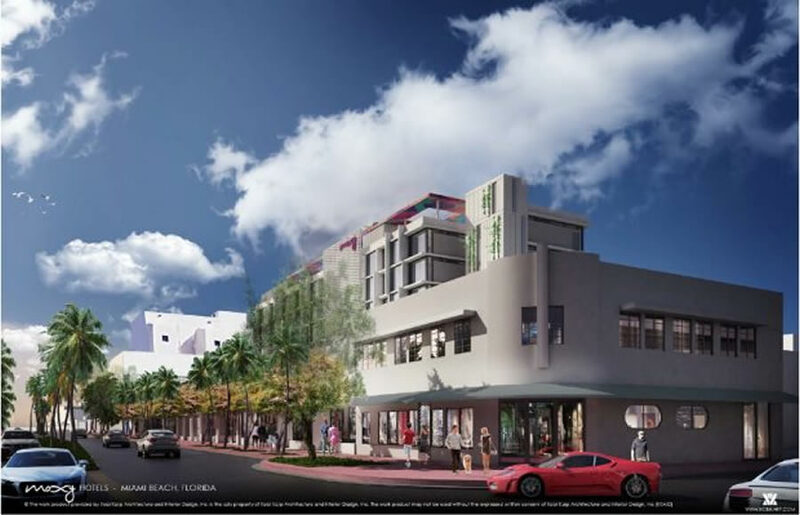 The second new large-scale development on Washington Avenue this year got a strong endorsement from the Miami Beach Historic Preservation Board. The board’s approval last week will allow the demolition, renovation and restoration of three aging storefronts located at 915, 947 and 955 Washington Avenue to make way for a new Moxy South Beach. David Lichtenstein’s Lightstone Group, which paid $29 million for the structures, which take up nearly the whole block, plans to build the seven-story, 202-room boutique hotel on the block. In May, The Real Deal reported the properties were sold by Crescent Heights developer Russell Galbut and longtime Washington Avenue landlord and businessman, Saul Gross, to Lightstone. For years, Gross had pushed city officials to pass an ordinance, which passed last year, raising height limits to 75 feet in some locations as well as eliminating parking requirements for hotels, and placing restrictions on where nightclubs can be located, in a bid to revitalize the street with new hotels and dining.